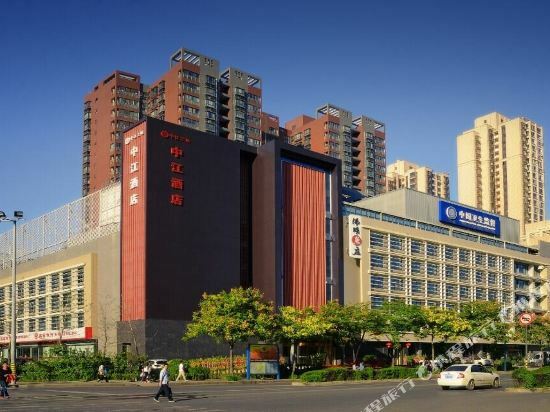 The Grand Barony (Tianli Junting Dajiudian) is located around 45 minutes by car from the Xianyang International Airport, and within easy reach of Xibu Electronics Mall Dining options include Chinese and Western cuisine. Guests looking to keep active can utilize the gym while those simply wanting to relax can make use of the spa. This Xi’an hotel provides Wi-Fi in public areas and free parking on site. 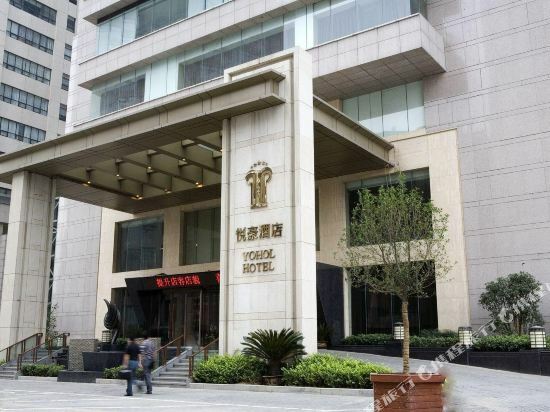 The Yohol Hotel (Xi'an Yuehao Jiudian) is a business hotel located in the hi-tech development zone and grants guests convenient access to transportation network. 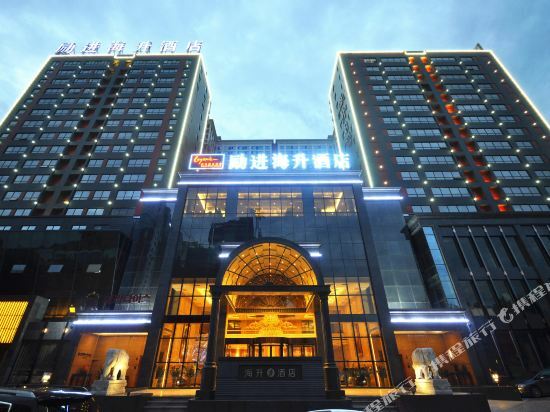 This Xi'an hotel houses a variety of well-equipped rooms to suit your budget and expectations. The on-site restaurant offers a multitude of dining experiences from Chinese cuisines like Guangdong, Hunan and Hubei, as well as Western food. A total of 24 VIP private dining rooms are available at your disposal, no matter the occasion. Business travelers in need of business services can make full use of the conference center and four other meeting rooms. Guests looking to pass the time can take advantage of the swimming pool, fitness center, ping pong rooms and spa center. They also offer babysitting services if you need a break and want to spend a bit more time in the pool. 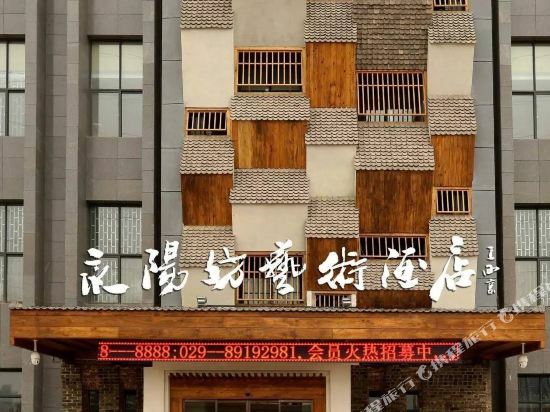 The Orange Hotel Select Xi'an Gaoxin Road branch (Juzi Jiudian Jingxuan Xi’an Gaoxin Lu dian) is located in south-western Xi'an approximately 11 km (7 mi) from Xi'an Railway Station and 37 km (23 mi) from Xi'an Xiancheng International Airport. Hungry guests can enjoy a meal at the on-site restaurant which serves both Chinese and Western meals. The coffee shop and bar also provide places to meet with friends for a beverage. Those travelling on business will appreciate the hotel's business center and various conference facilities. This Xi'an hotel features free in-room Wi-Fi as well as free parking. In their leisure time guests can relax with a massage or enjoy a cup of local tea in the tea house. 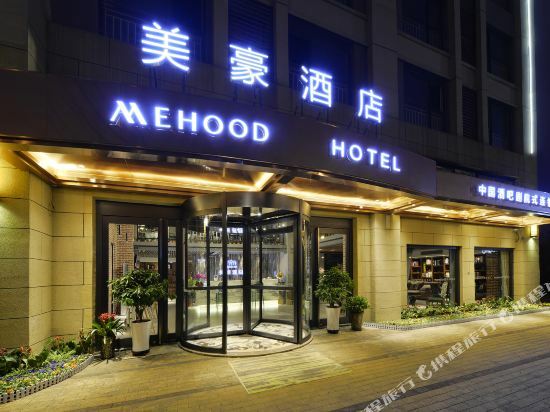 The Mehood Hotel (Xi'an Gaoxin Road) is one of the newest hotels in Xi'an, having opened in 2017. Free in-room Wi-Fi is available at this property. 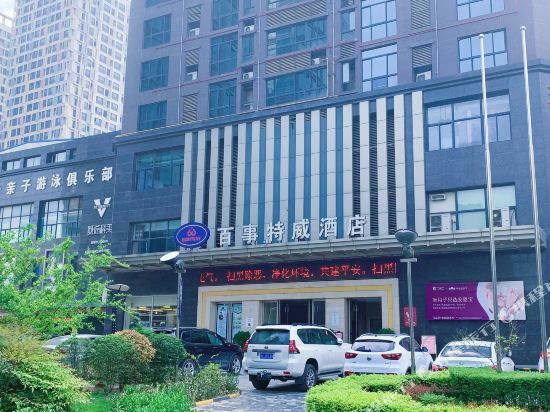 The hotel is only 11km from Xi'an Railway Station and 37km from Xi'an Xianyang International Airport, giving guests a number of convenient transportation options. Transportation around the city is also convenient, with Ke Ji Lu Station Metro Station within walking distance. 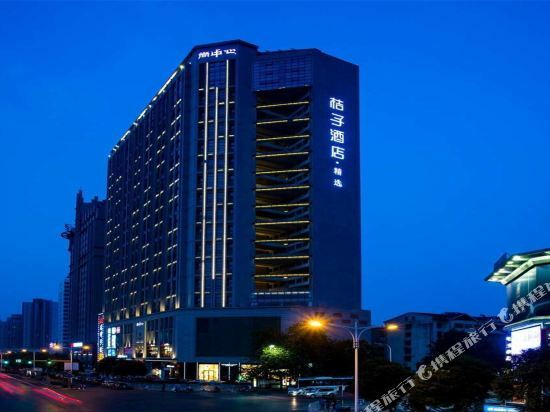 <br> Ziction Liberal Hotel (Zhicheng Libo Jiudian) is a business hotel located in the central area of the Hi-tech Development Zone of Xi'an with easy access to Airport. The 20-floor hotel offers various room types and boasts excellent facilities and Western food. 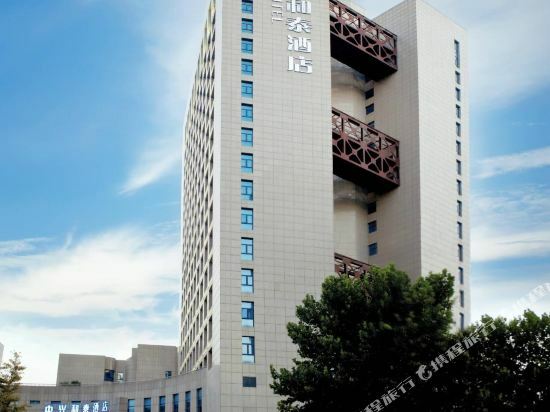 The Hotel New Xi'an (Xi'an Meidao Jiudian) is just ten km (6.5 mi) away from Xi'an Railway Station and 35 km (22 mi) from Xianyang International Airport. When it comes to dining, guests can take their pick from a Chinese restaurant and a Western restaurant providing a range of delicious meats and cheeses. The café, pub and teahouse are good venues for socializing guests to enjoy drinks and snacks. Guests traveling on business will find the meeting rooms and business center at their disposal. 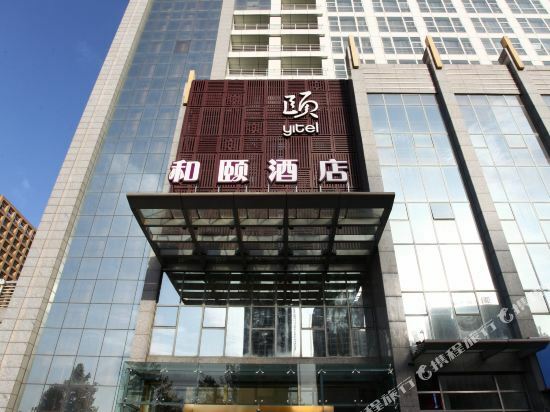 The&nbsp;Yohol&nbsp;Hotel&nbsp;(Xi'an&nbsp;Yuehao&nbsp;Jiudian)&nbsp;is&nbsp;a&nbsp;business&nbsp;hotel&nbsp;located&nbsp;in&nbsp;the&nbsp;hi-tech&nbsp;development&nbsp;zone&nbsp;and&nbsp;grants&nbsp;guests&nbsp;convenient&nbsp;access&nbsp;to&nbsp;transportation&nbsp;network. <br> <br> <br> <br>This&nbsp;Xi'an&nbsp;hotel&nbsp;houses&nbsp;a&nbsp;variety&nbsp;of&nbsp;well-equipped&nbsp;rooms&nbsp;to&nbsp;suit&nbsp;your&nbsp;budget&nbsp;and&nbsp;expectations.&nbsp;The&nbsp;on-site&nbsp;restaurant&nbsp;offers&nbsp;a&nbsp;multitude&nbsp;of&nbsp;dining&nbsp;experiences&nbsp;from&nbsp;Chinese&nbsp;cuisines&nbsp;like&nbsp;Guangdong,&nbsp;Hunan&nbsp;and&nbsp;Hubei,&nbsp;as&nbsp;well&nbsp;as&nbsp;Western&nbsp;food.&nbsp;A&nbsp;total&nbsp;of&nbsp;24&nbsp;VIP&nbsp;private&nbsp;dining&nbsp;rooms&nbsp;are&nbsp;available&nbsp;at&nbsp;your&nbsp;disposal,&nbsp;no&nbsp;matter&nbsp;the&nbsp;occasion.&nbsp; <br> <br> <br> <br>Business&nbsp;travelers&nbsp;in&nbsp;need&nbsp;of&nbsp;business&nbsp;services&nbsp;can&nbsp;make&nbsp;full&nbsp;use&nbsp;of&nbsp;the&nbsp;conference&nbsp;center&nbsp;and&nbsp;four&nbsp;other&nbsp;meeting&nbsp;rooms. <br> <br> <br> <br>Guests&nbsp;looking&nbsp;to&nbsp;pass&nbsp;the&nbsp;time&nbsp;can&nbsp;take&nbsp;advantage&nbsp;of&nbsp;the&nbsp;swimming&nbsp;pool,&nbsp;fitness&nbsp;center,&nbsp;ping&nbsp;pong&nbsp;rooms&nbsp;and&nbsp;spa&nbsp;center.&nbsp;They&nbsp;also&nbsp;offer&nbsp;babysitting&nbsp;services&nbsp;if&nbsp;you&nbsp;need&nbsp;a&nbsp;break&nbsp;and&nbsp;want&nbsp;to&nbsp;spend&nbsp;a&nbsp;bit&nbsp;more&nbsp;time&nbsp;in&nbsp;the&nbsp;pool. The Yitel Hi-tech Industries Development Zone branch (Yihe Jiudian Gaoxin Dian) is located within easy reach of Tang City Wall Relics Park. Xianyang International Airport is approximately 36 km (22 mi) away. This Xi'an hotel provides Wi-Fi in public areas as well as parking on site. 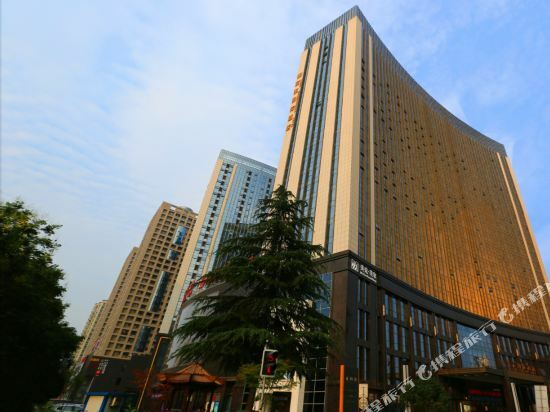 Located at the intersection of Keji 6th Road and South Fenghui Road, the Best Western Bestway Hotel Xi'an (Zuijia Xifang Xi'an Gaoxin Baishitewei Jiudian) is about 1 kilometer from Xi'an Greenland Pico International Convention & Exhibition Center. About a 20-minute and a 50-minute drive takes guests to the Bell Tower and the Xi'an Xianyang International Airport respectively. 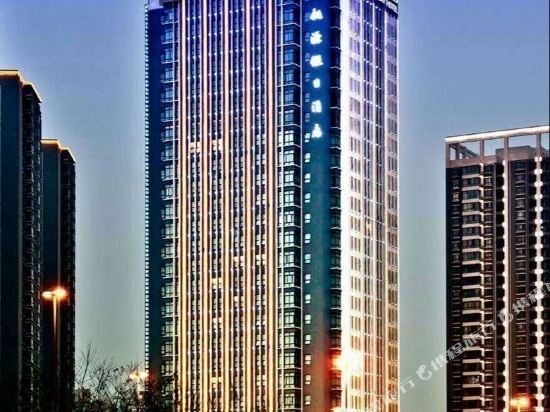 On offer of this Xi'an hotel are rooms completed with satellite TVs, international direct dial telephones, mini bars and safes. With free internet access, guests can check emails anytime or enjoy their favorite contents. The Chinese restaurant serves Chinese and Western buffet breakfast, and specializes in Hunan, Sichuan and Cantonese foods. To conduct events, guests can make full use of two multifunction halls on 3F. 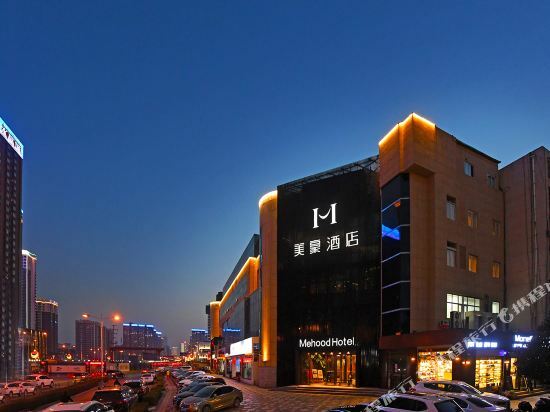 Located in the central business district of Xi'an Hi-tech Development Area,.The hotel is only 3 minutes walk from the UK visa of the Xi’an Moore center.The Haisun Hotel (Haisun Jiudian) is close to Tang City Wall Relic Park and just five minutes’ drive from Century Jinhua Shopping Mall and Gold Eagle International Shopping Center. Xianyang International Airport is 40 km (24.9 mi) away. 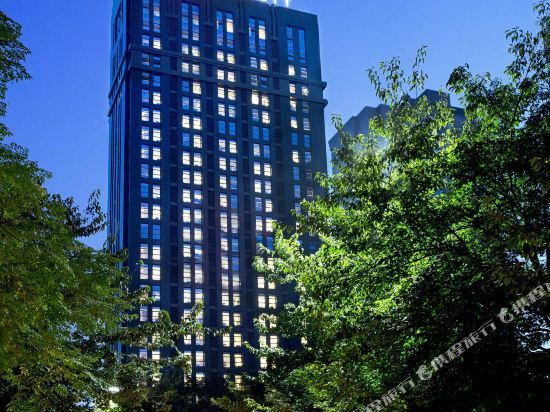 This Xi'an hotel consists of east tower building and west tower building, offering single rooms, deluxe rooms and business rooms. All rooms are equipped with private safes, satellite TVs and broadband Internet access. There is Wi-Fi in public areas. For dining, on-site dining options include Chinese and Western restaurants where guests will enjoys local and traditional Chinese cuisines and Western dishes. Guests traveling on business will find one meeting center with a capacity of 350 guests and another four multi-functional halls at their disposal. When it comes to recreation, guests can sing their heart in the karaoke rooms. 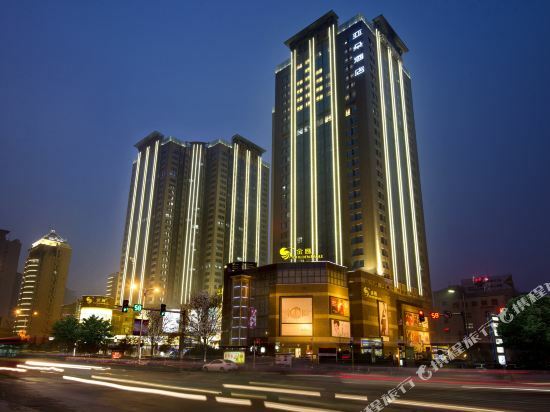 Hilton Xi’an High-tech Zone is ideally situated for a business or recreation stay. It is conveniently located just 40 kilometers from Xian Yang International Airport, the metro station is only 1.8km away. The hotel is also within easy reach of several tourist destinations such as the Big Wild Goose Pagoda and Tang Paradise just 20 minutes away by car, as well as the Bell Town only a 30-minute drive away. Boasting a design inspired by European culture and art, each of the hotel’s guest rooms feature floor-to-ceiling windows, a fresh color scheme, views of the city skyline, modern décor, and in-room amenities such as an LCD TV, an ergonomic desk, complimentary Wi-Fi and a stylish bathroom with ample space. Executive rooms and suites come with access to the Executive Lounge, which offers special butler service, complimentary breakfast, afternoon tea, and happy hour cocktails. Guests looking to unwind can take a refreshing dip in the heated indoor swimming pool that has certified lifeguards on watch, rejuvenation rooms at the eforea spa, or work out in the well-equipped, 24-hour fitness center. Innovative food and beverage concepts at Hilton Xi’an High-tech Zone include: •	THE LORDS’ HOME: a unique Chinese restaurant offering authentic Chinese, Cantonese and Sichuan-fusion dishes. In addition to a main dining area, there are nine separate private dining rooms, each with its own theme. •	BIG CHINA NOODLE KING: offers a wide selection of more than 100 noodles dishes from all over China, made from scratch using closely-guarded secret recipes. •	CAFÉ TERRACE: an outdoor barbecue garden serving both Western and Asian cuisines. Buffet or à la carte, the sumptuous fare incorporates locally-sourced ingredients and healthy recipes. 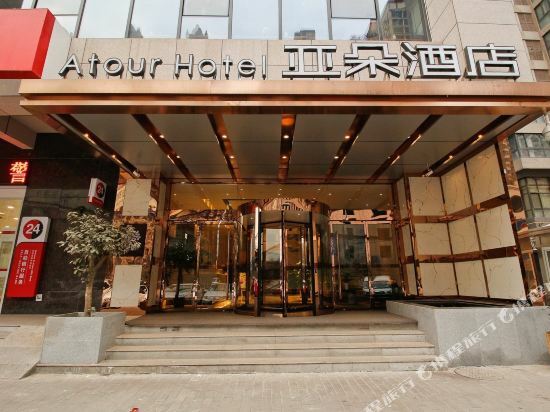 The Atour Hotel Xi'an Gaoxin Dazhai Road Branch (Yaduo Jiudian Xi'an Gaoxin Dazhailu Dian) is situated in western Xi'an, close to Epang Palace and Hanyangling Museum. It will take approximately 30 minutes to reach Xi'an West Railway Station by car, or 50 minutes to reach Xi'an Xianyang International Airport. Diners can enjoy Chinese food at the on-site restaurant. Those traveling on business can take advantage of the meeting rooms. 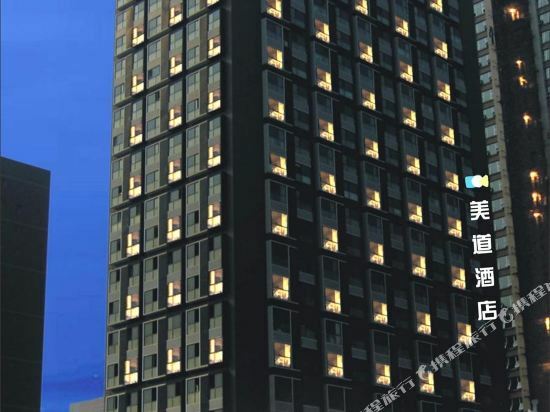 This Xi'an hotel offers Wi-Fi access in public areas as well as free parking. 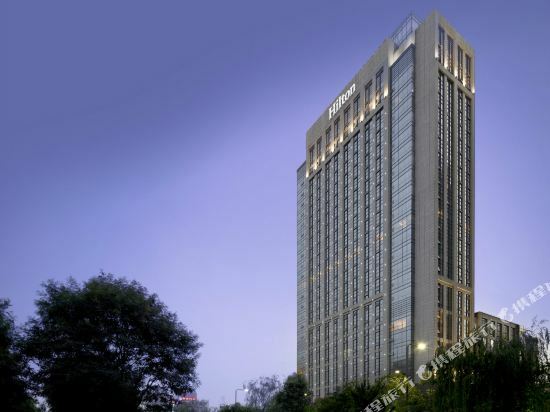 Located in the middle of the Xi'an High and New Technology Industry Development Zone, the ZTE Hotel Xi'an (Xi'an Zhongxing Hetai Jiudian) is a roughly 40-minute drive from Xianyang International Airport. 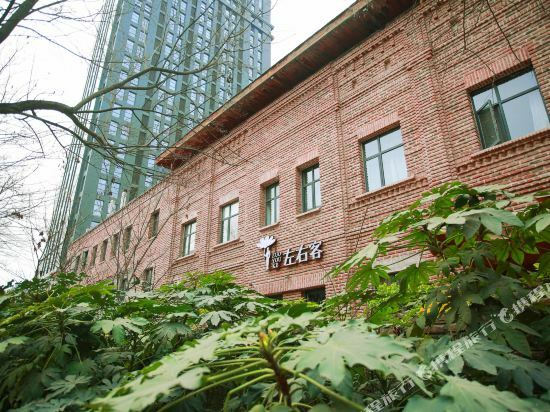 When it comes to dining, buffet breakfasts, lunches and dinners are available at the Western restaurant in this Xi'an hotel. Intimate dining can be arranged in 23 private dining rooms, where guests may enjoy traditional Chinese dishes including Cantonese, Sichuan and Shaanxi cuisines. The hotel's large garden banquet hall has a capacity of 400 seats and 15 meeting rooms are also available, each with audio-visual equipment and more. The hotel's professional service team is at hand to provide a tailor-made meeting planning service. As for recreation, guests can pick up a game of billiards or table tennis, work out in the gym or just sing their heart out in one of the karaoke rooms. 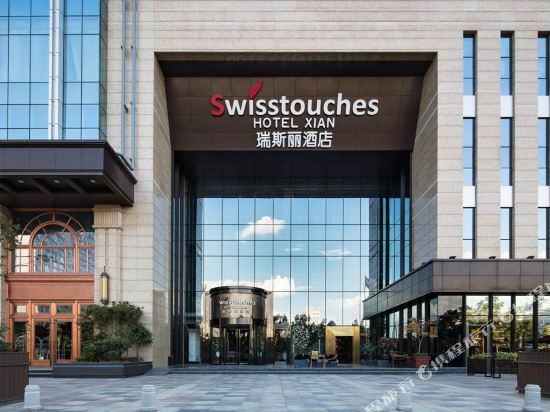 With its origins in the Swiss Alps, Swisstouches Hotel Xi’an, a modern hotel set within the Gaoxin Business District. 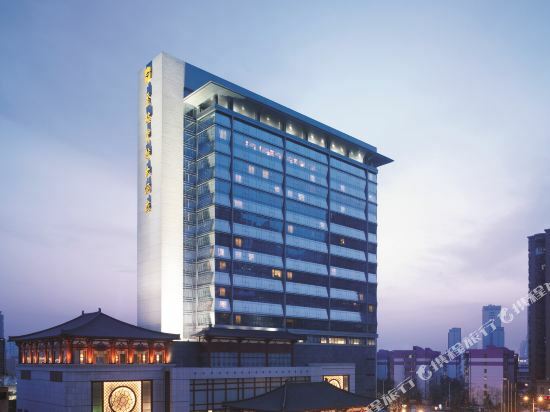 Swisstouches Hotel Xi’an has 337 luxury and elegant rooms and suites. Our well-appointed Swisstouches rooms offer you a wonderful stay experience. All rooms are equipped with Swisstouches dream beds, our signature bathroom amenities, “My Home Design” decorations, complimentary high-speed broadband internet and one-stop guest service call button to enjoy unique relaxation. Swisstouches provides exceptional Swiss hospitality service for every guest in order to create a “Unique Relaxation” guest experience. 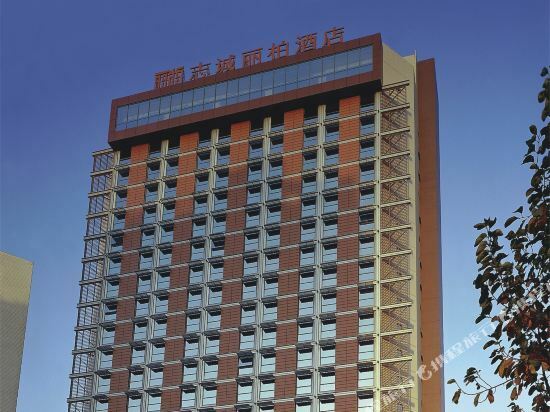 &lt;br&gt; Ziction Liberal Hotel (Zhicheng Libo Jiudian) is a business hotel located in the central area of the Hi-tech Development Zone of Xi'an with easy access to Airport. The 20-floor hotel offers various room types and boasts excellent facilities and Western food. 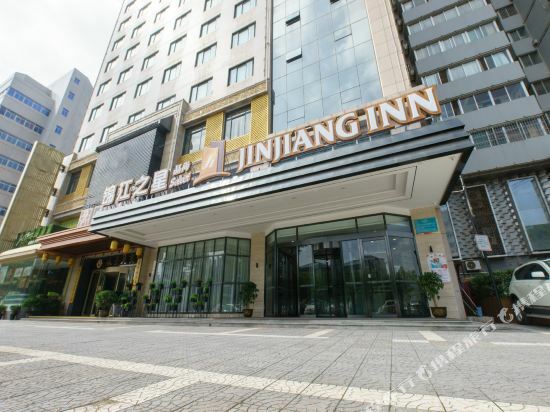 &lt;br/&gt; Jinjiang Inn (Jinjiang Zhixing) is a well-known local budget chain with friendly service and well-equipped guest rooms. Located in the West High-Tech Zone, with easy access to the airport and many tourism attractions, our Jinjiang Inn Xi'an High-Tech Zone is the good choice while traveling to Xi'an for either leisure or business. Hotel owns 169 comfortable rooms, provides clients free city call and broad-band. With the fashionable and fuctional hotel design and warmest-heart, we are always expecting to make your and your friends' trip in Xi'an more comfortable and memorable. If you want to stay in the best hotel in Xi'an, China, please come to Trip.com for a custom trip. Staying in exclusive Xi'an High-tech Zone / Greenland Exhibition Center hotel Trip.com offers, you can fully relax and enjoy the stay in Xi'an and around Xi'an. All these Xi'an High-tech Zone / Greenland Exhibition Center hotels lead in the industry in aspects of environment and recreation facilities, providing the best hotel service in Xi'an. 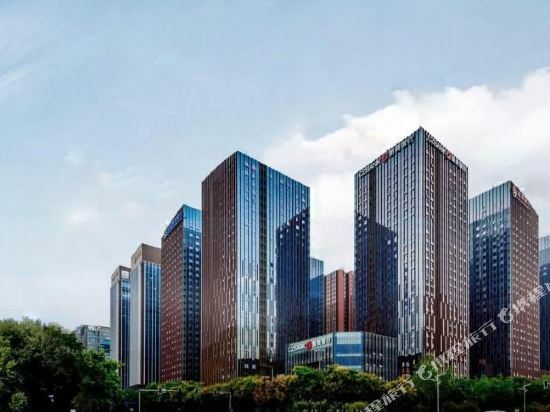 To ensure that you can find the latest High-tech Zone / Greenland Exhibition Center hotel in Xi'an, the latest hotel price as well as hotel facilities and indoor facilities information will be offered. In the meantime, detailed photos of Xi'an High-tech Zone / Greenland Exhibition Center hotel will be displayed, making you know quickly whether hotel’s interior environment meets your taste. Besides, you can know specific location and reviews on Xi'an High-tech Zone / Greenland Exhibition Center hotel from millions of users. If you want a nice room with limited budget, please filter through price and distance to get an appropriate Xi'an High-tech Zone / Greenland Exhibition Center hotel. 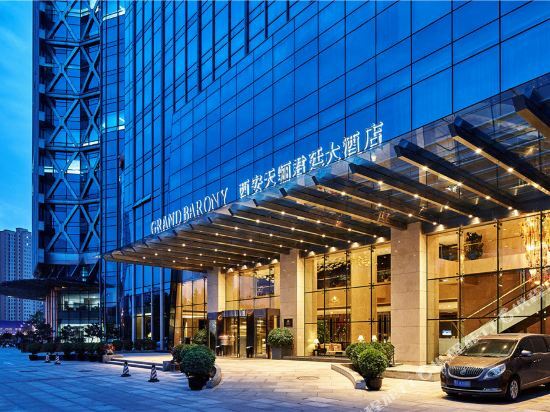 To ensure you can experience the best Xi'an High-tech Zone / Greenland Exhibition Center hotel, users and we give a comprehensive rating on hotel, which gives useful help. Believe it or not, as the biggest online travel service company, we have the best service assurance and perfect users’ experience to meet your requirements in different aspects, no matter it’s Xi'an hotel or Xi'an High-tech Zone / Greenland Exhibition Center hotel.